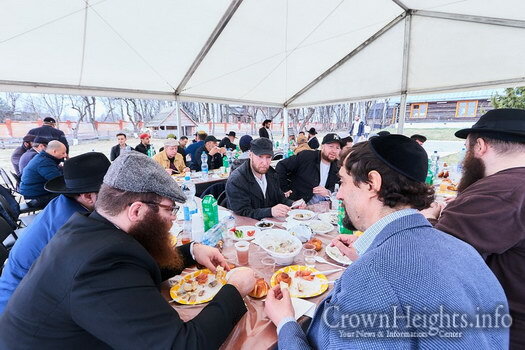 In honor of the 185th birthday of the Rebbe Maharash, approximately 200 people came to the village of Lubavitch where he is buried where a special tent set up by the administrator of the Holy Sites in Lubavitch, Shliach Reb Gavriel Gordon where the crowds farbrenged for many hours around tables laden with delicacies. 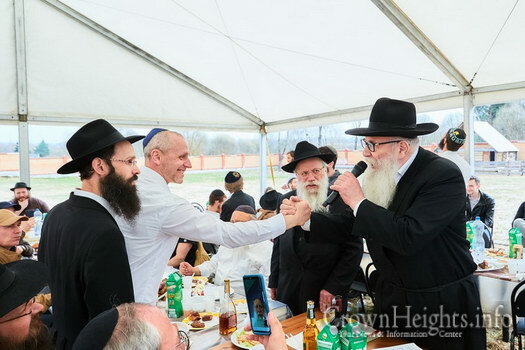 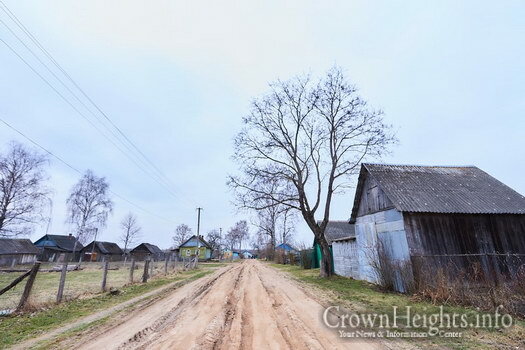 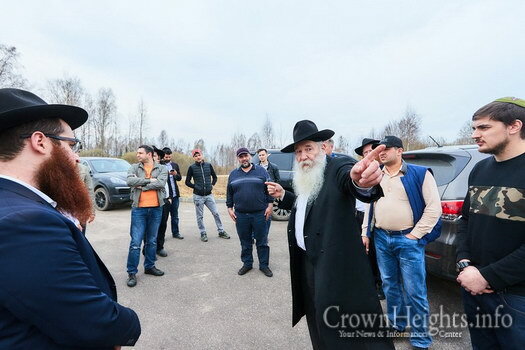 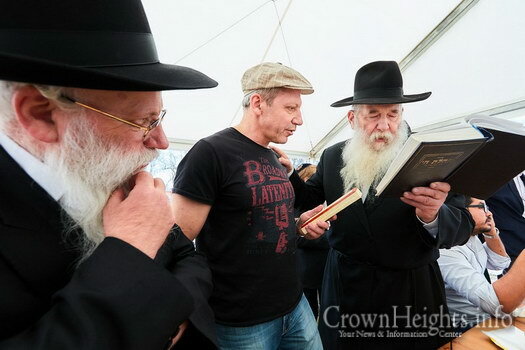 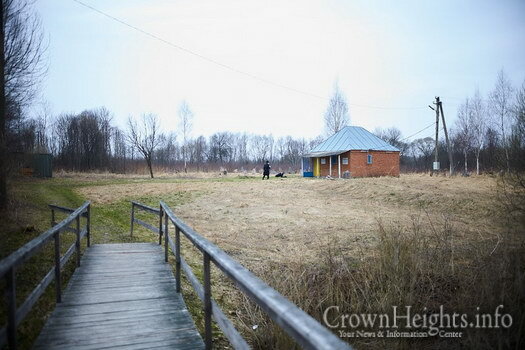 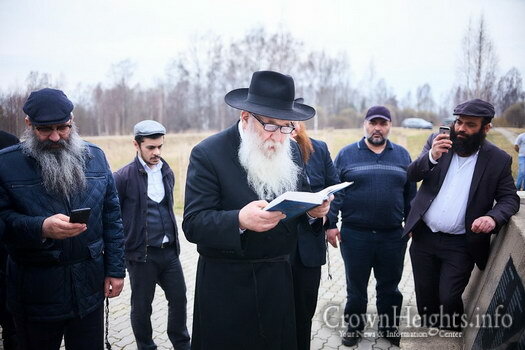 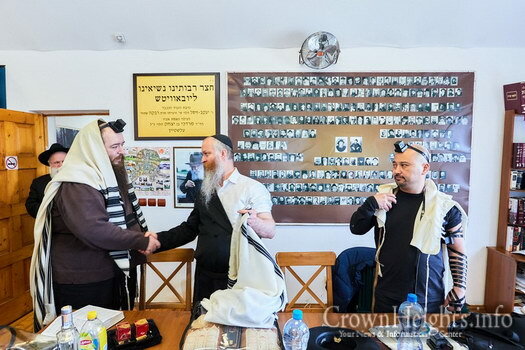 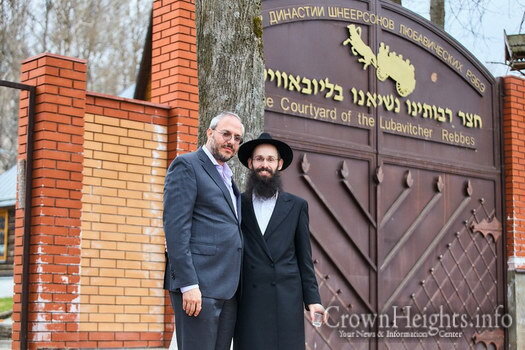 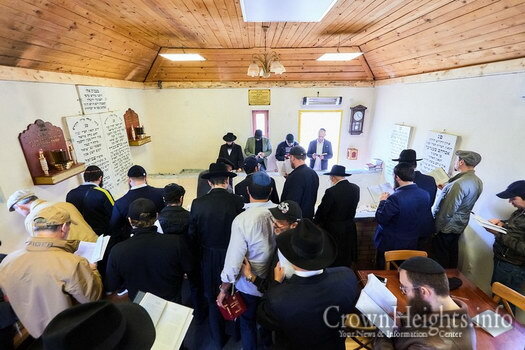 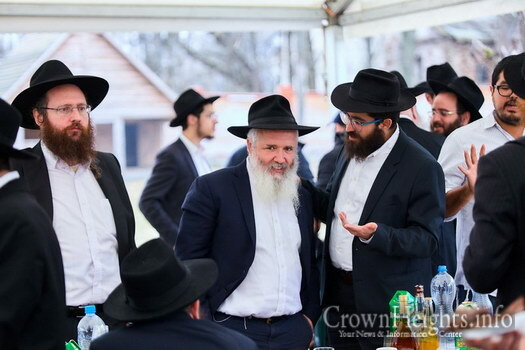 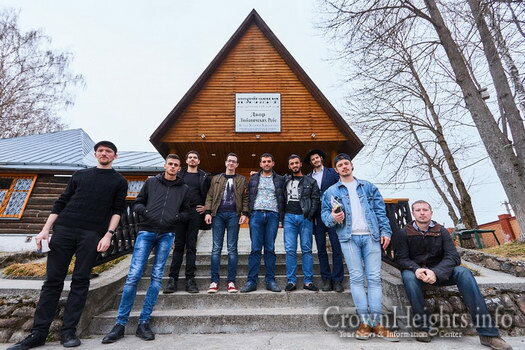 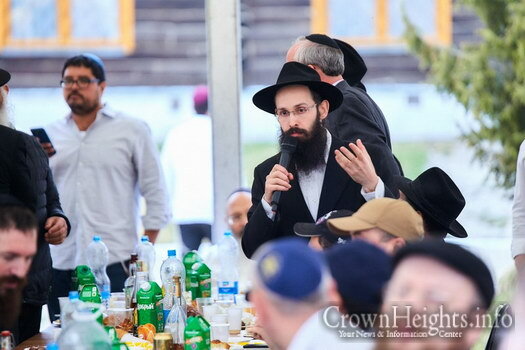 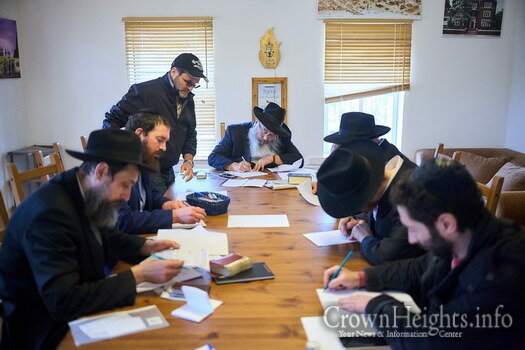 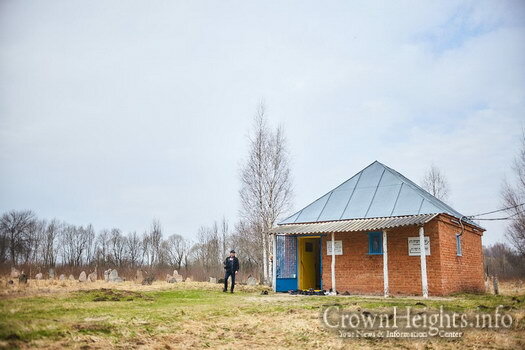 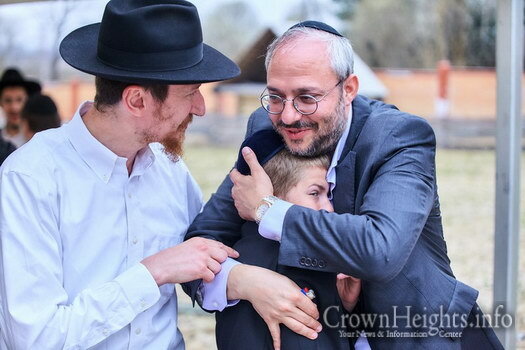 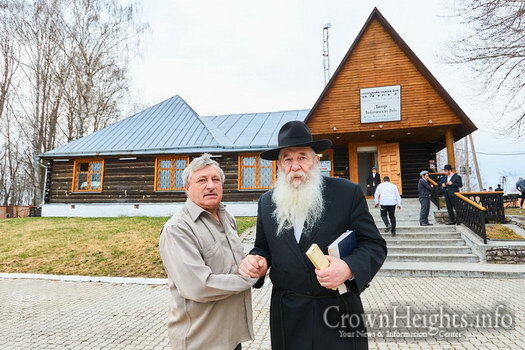 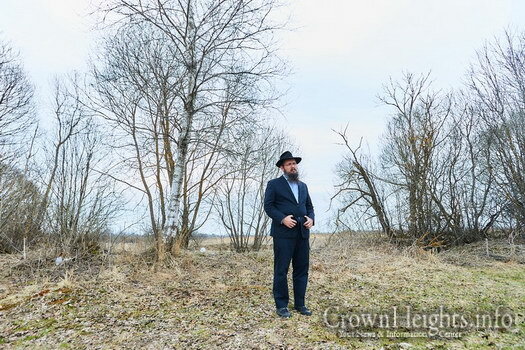 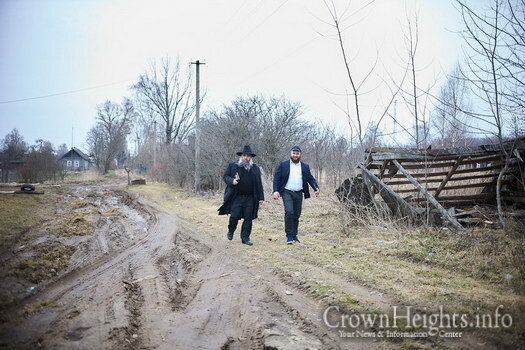 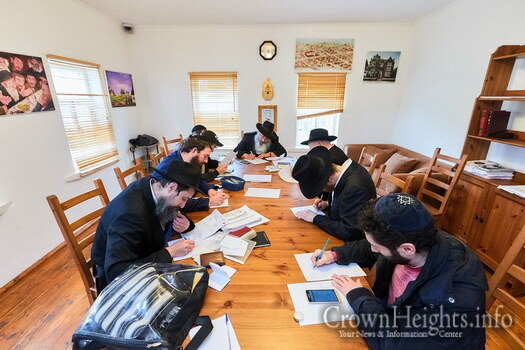 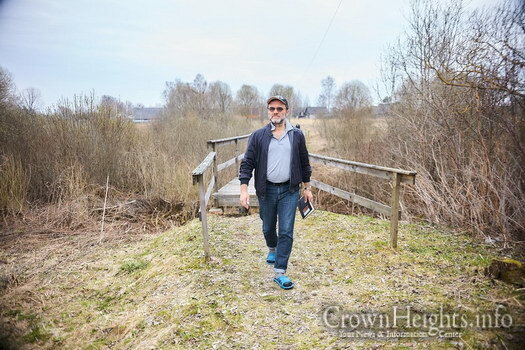 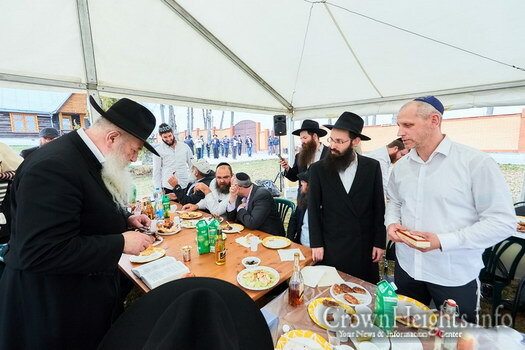 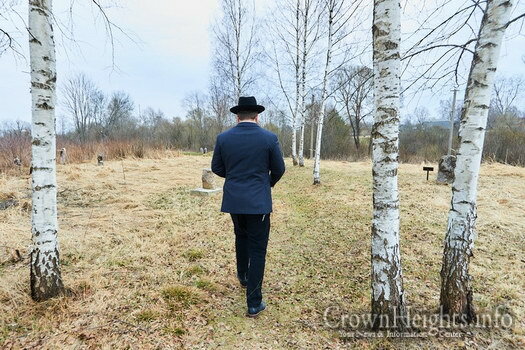 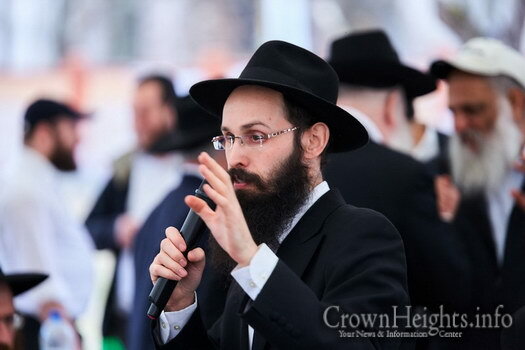 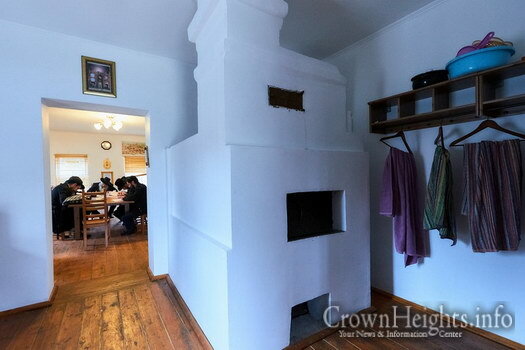 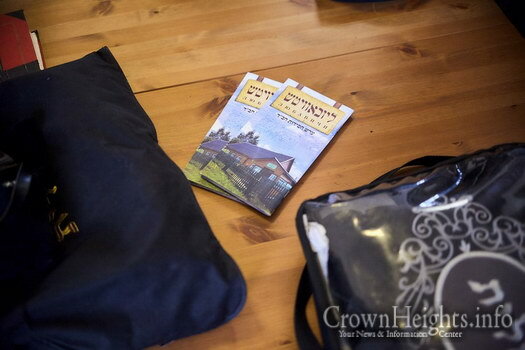 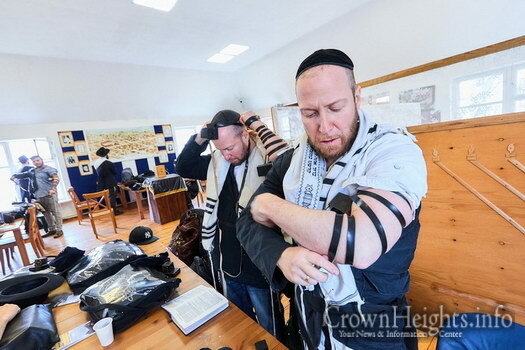 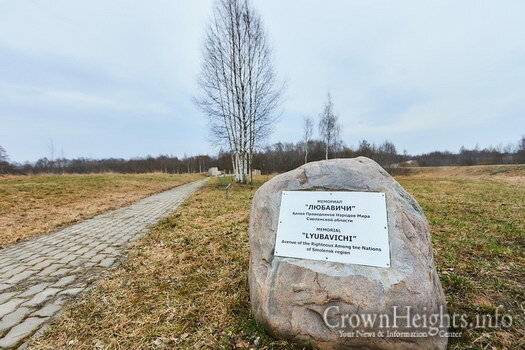 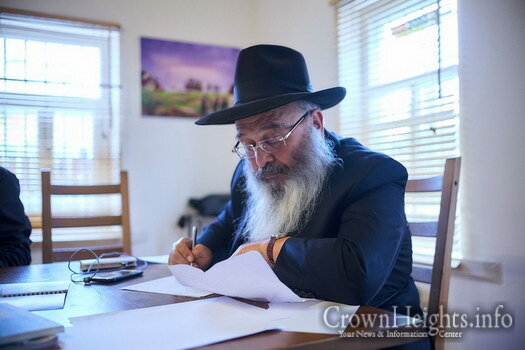 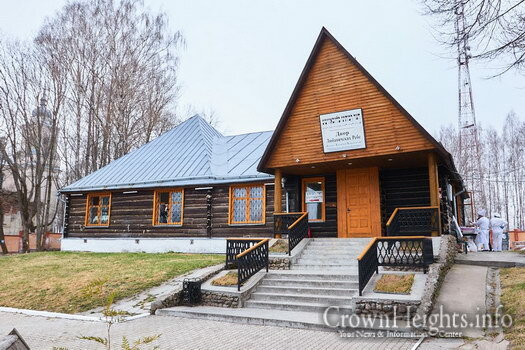 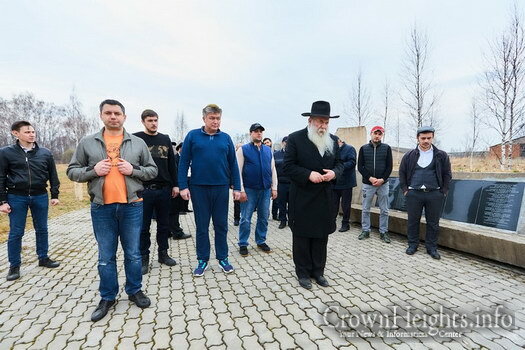 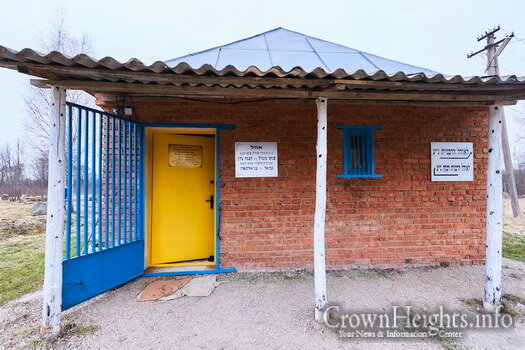 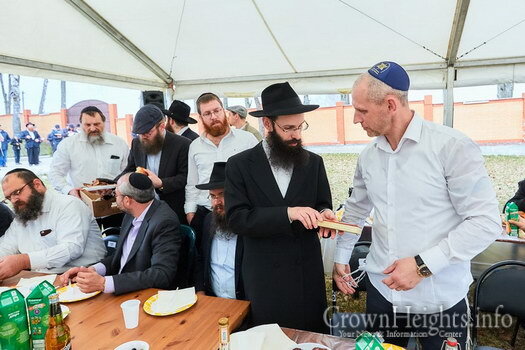 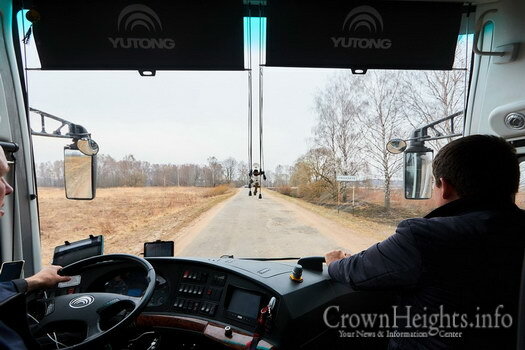 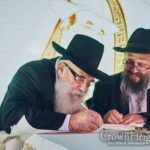 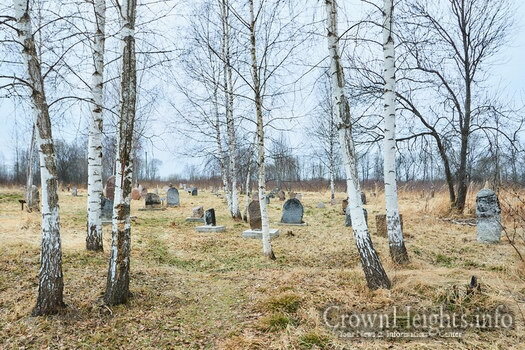 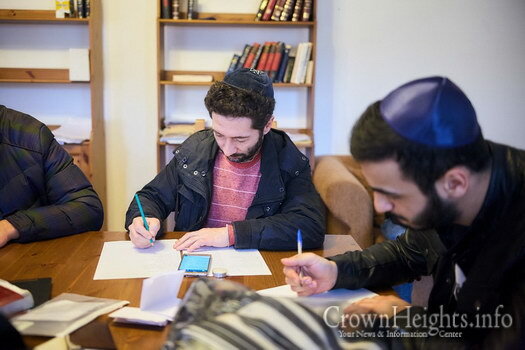 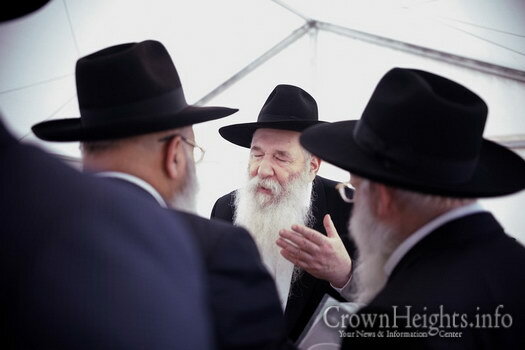 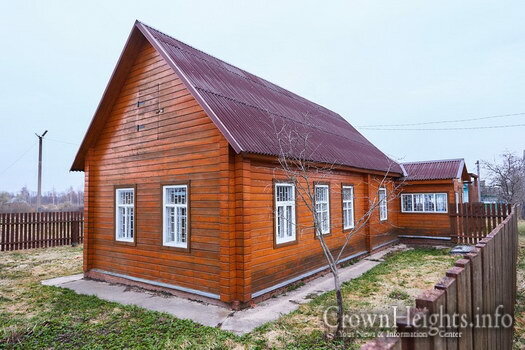 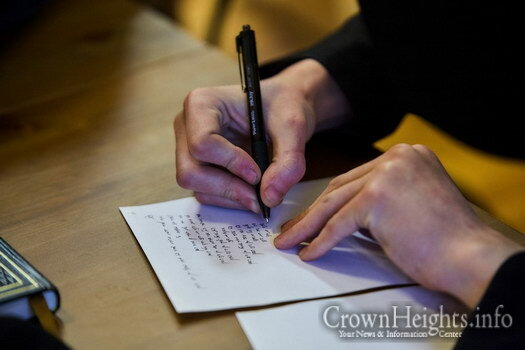 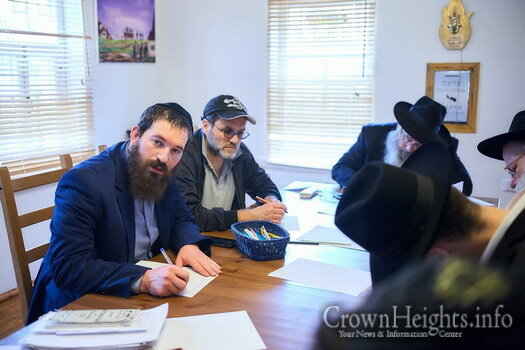 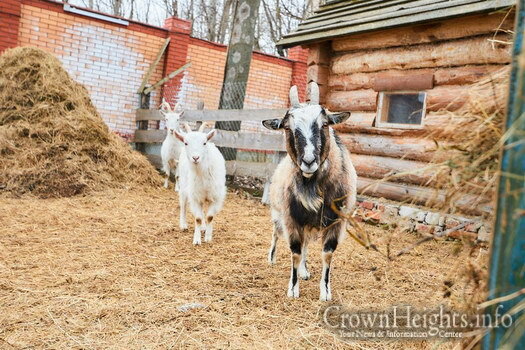 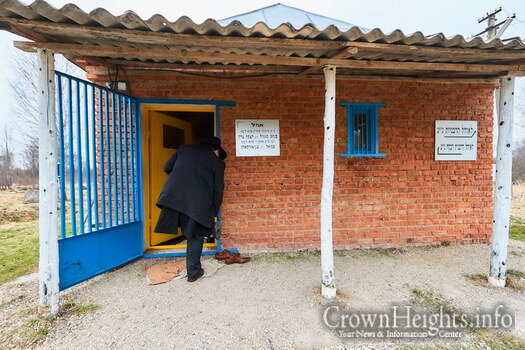 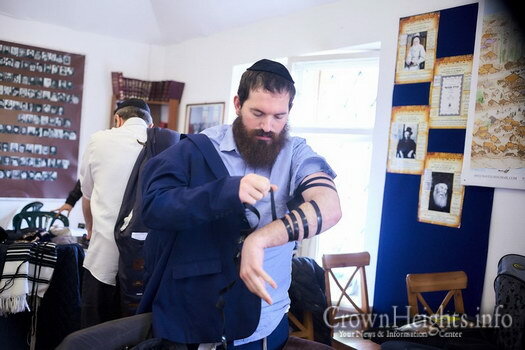 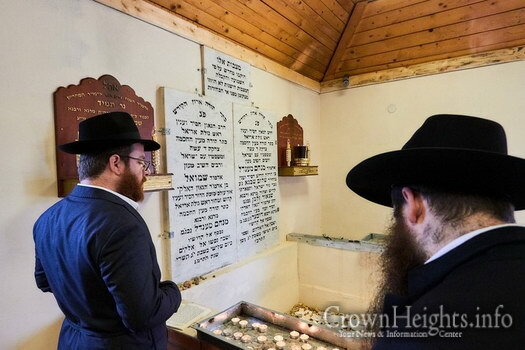 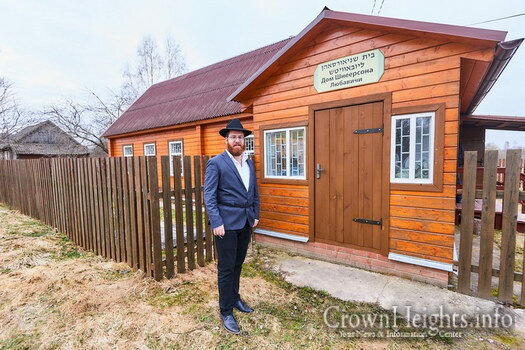 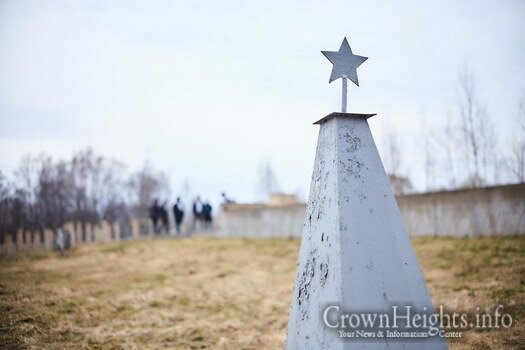 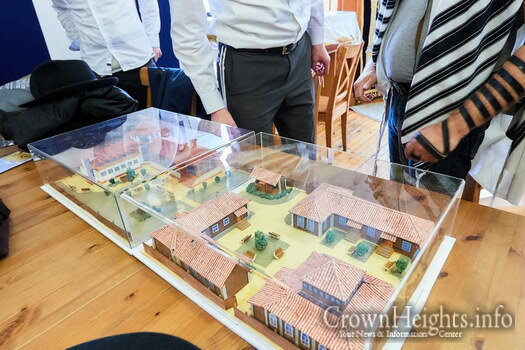 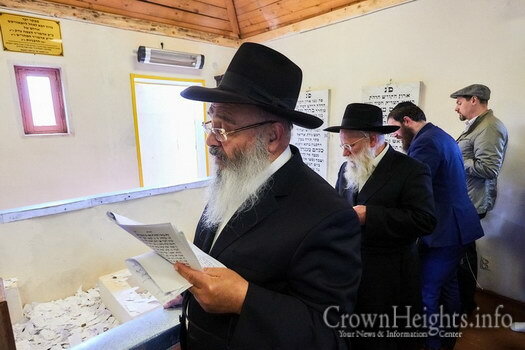 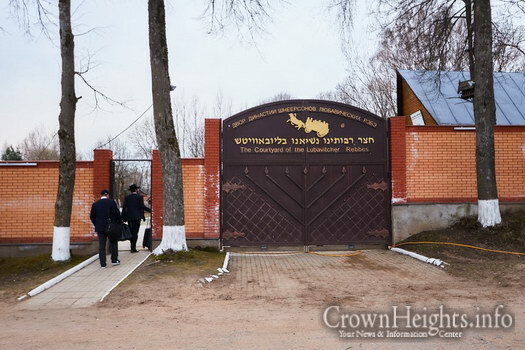 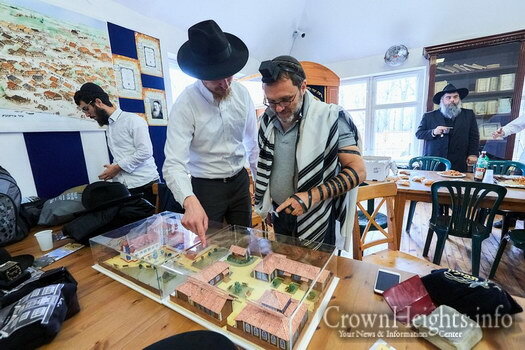 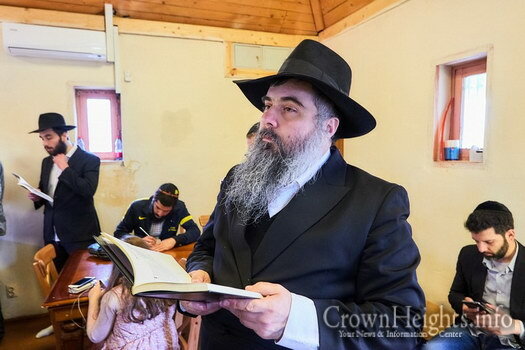 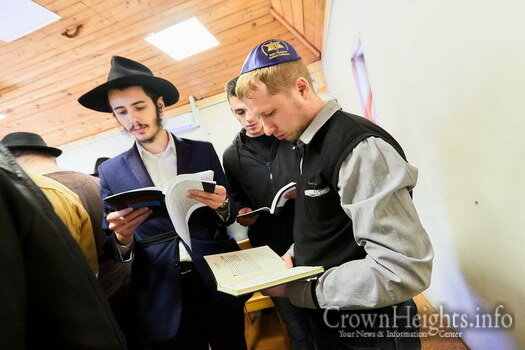 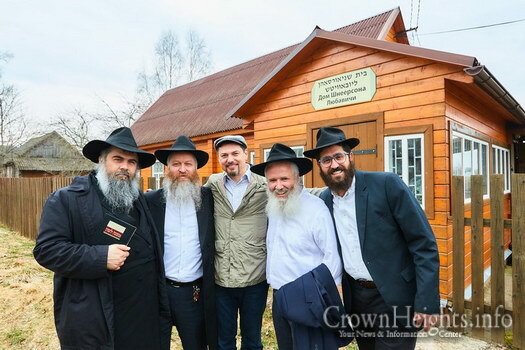 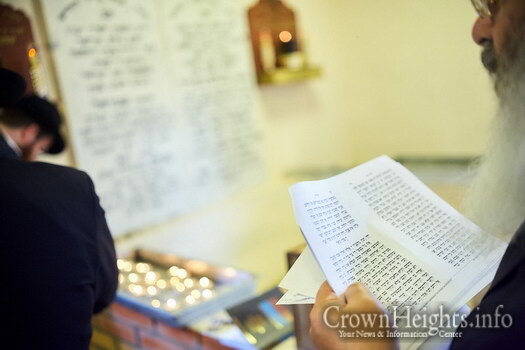 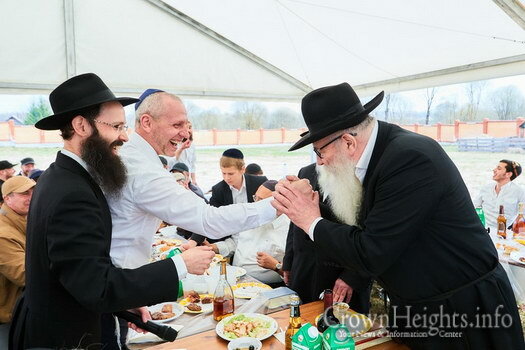 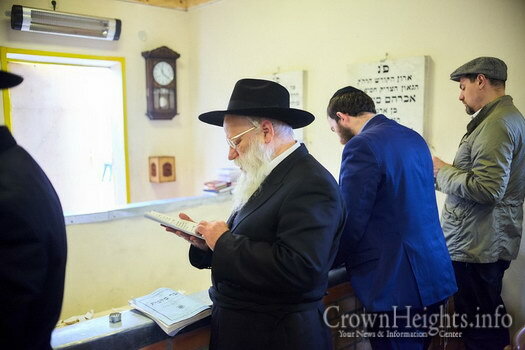 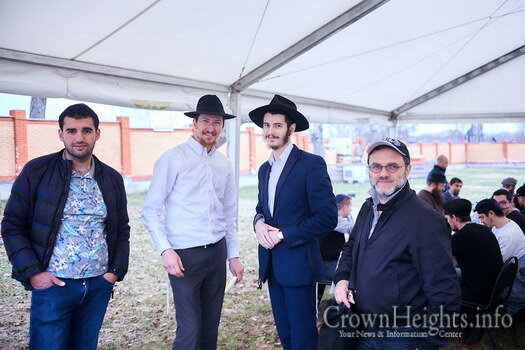 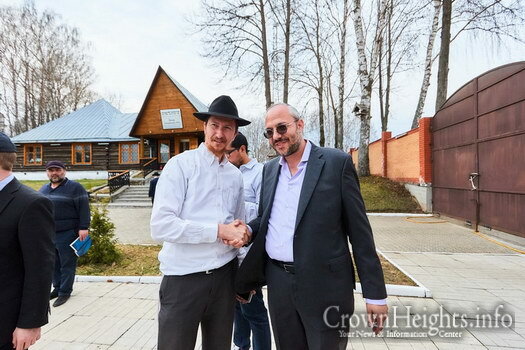 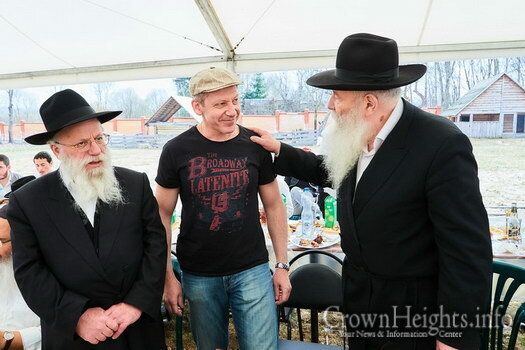 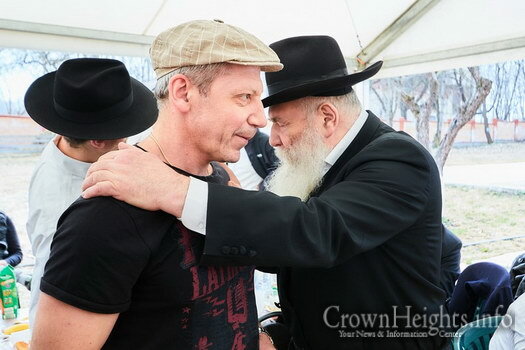 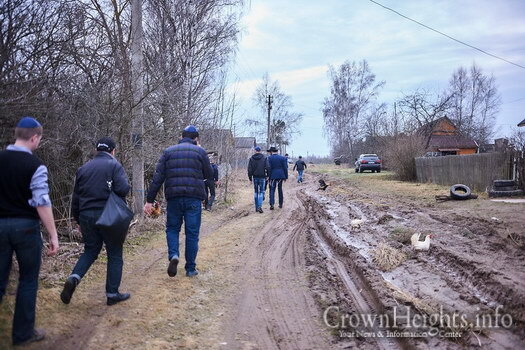 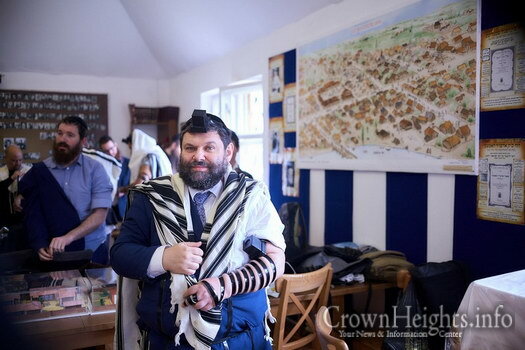 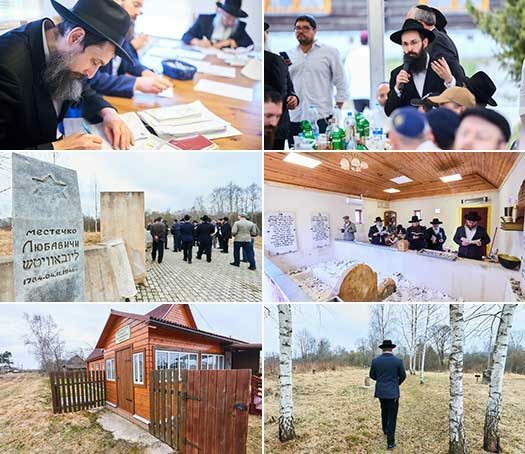 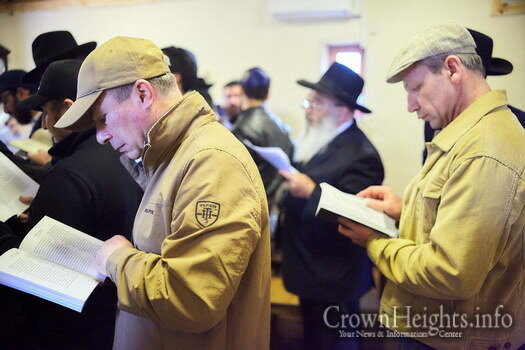 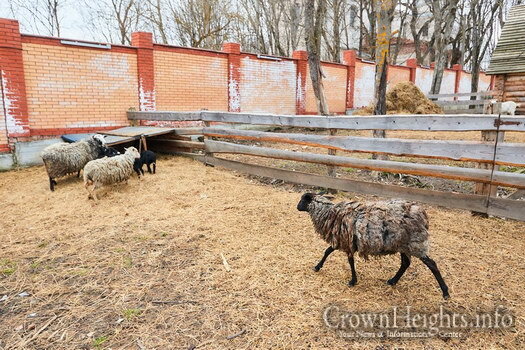 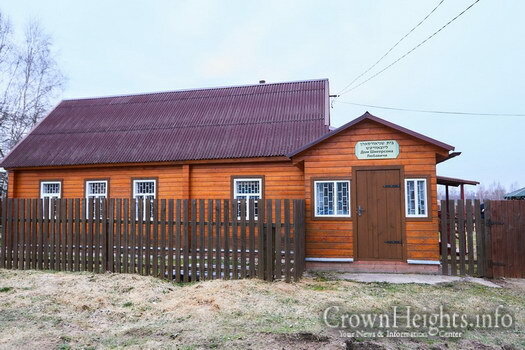 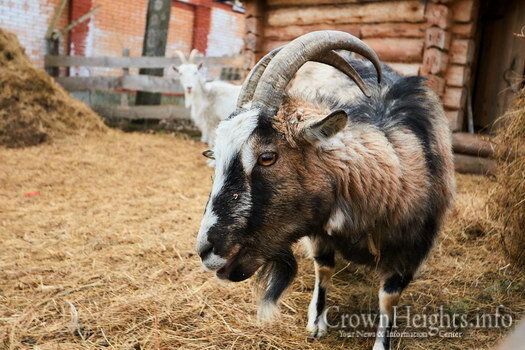 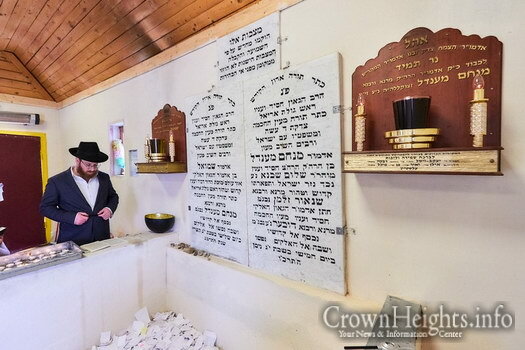 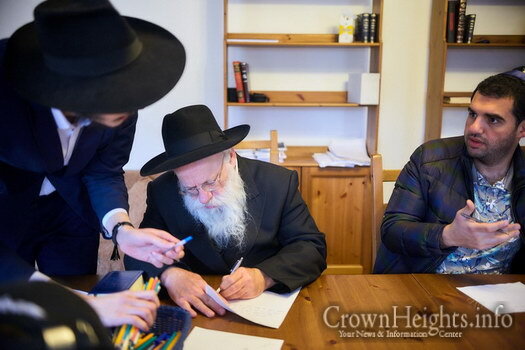 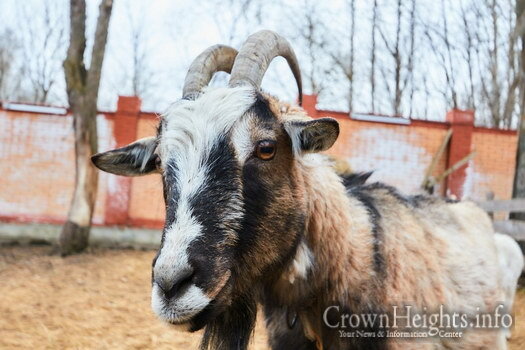 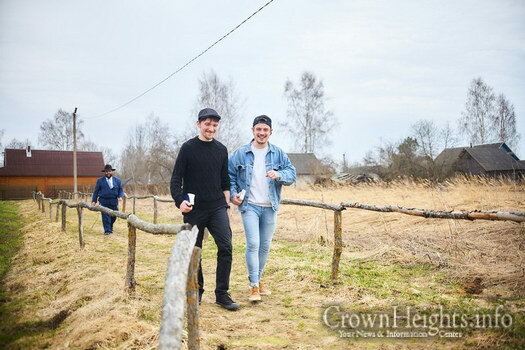 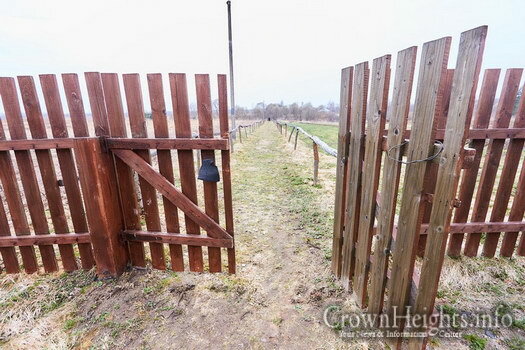 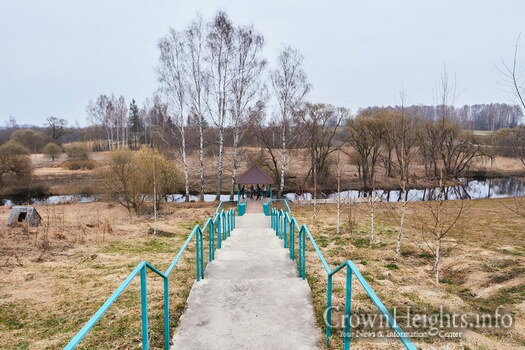 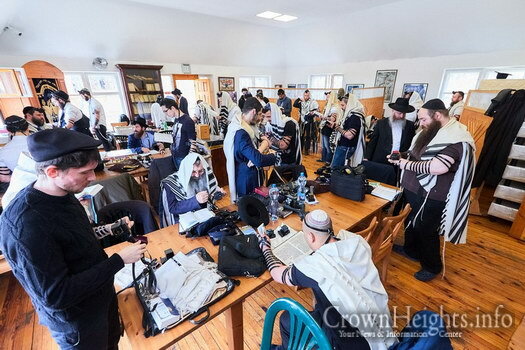 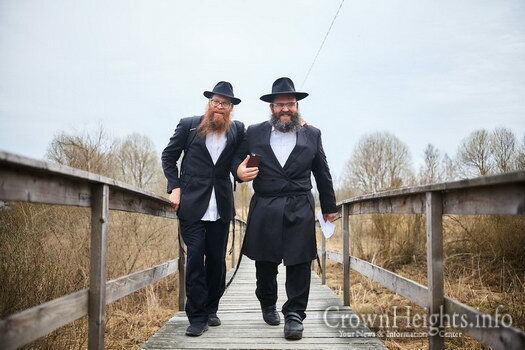 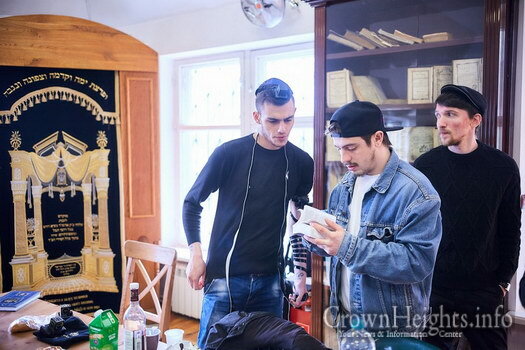 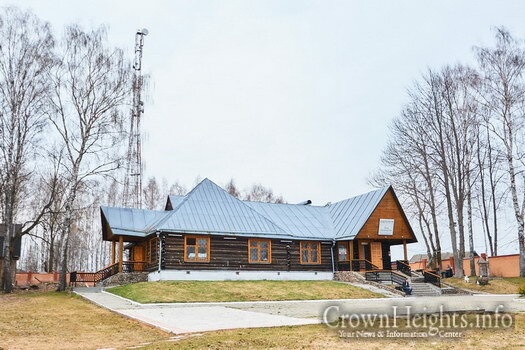 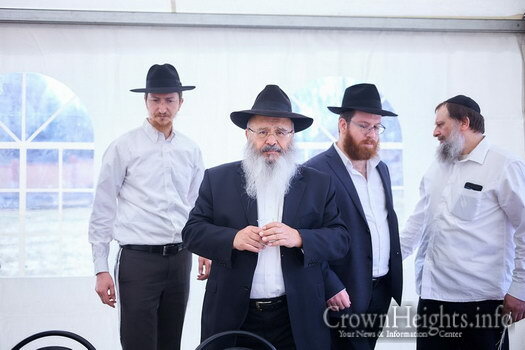 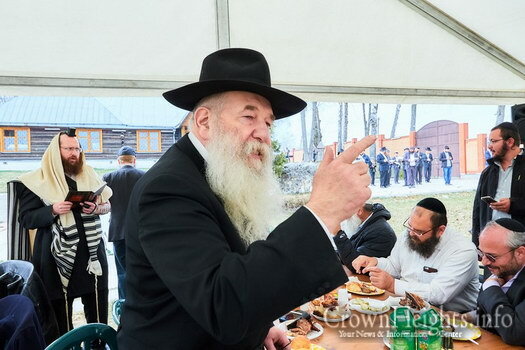 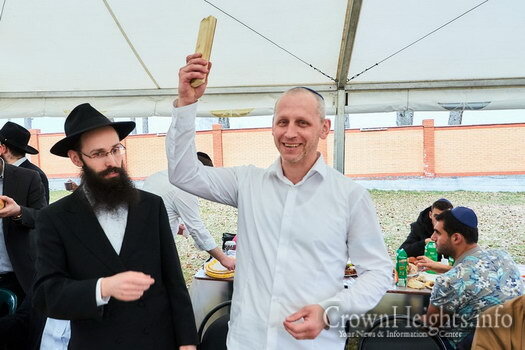 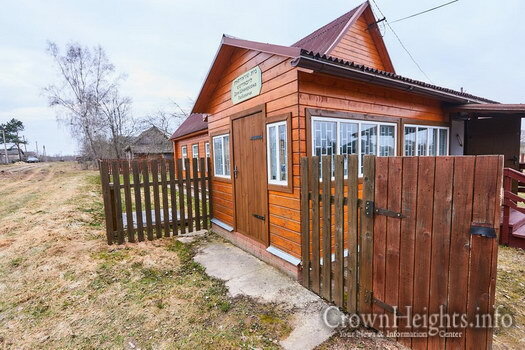 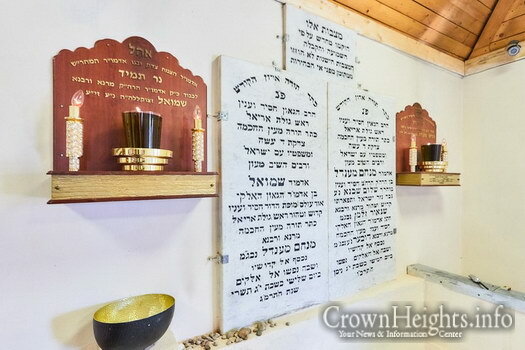 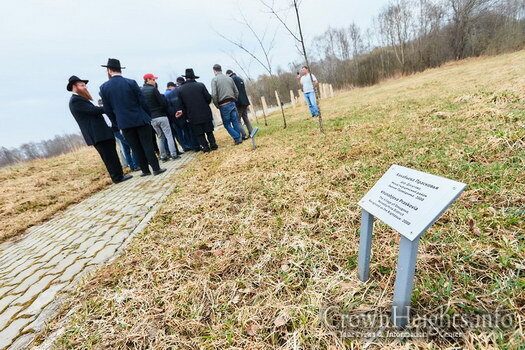 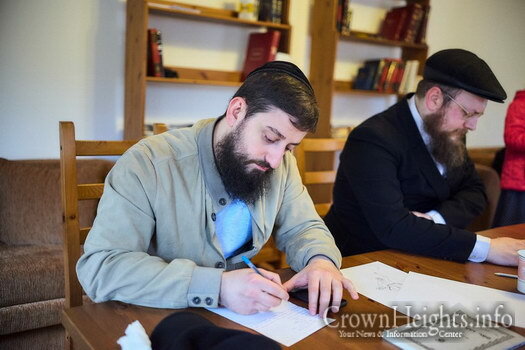 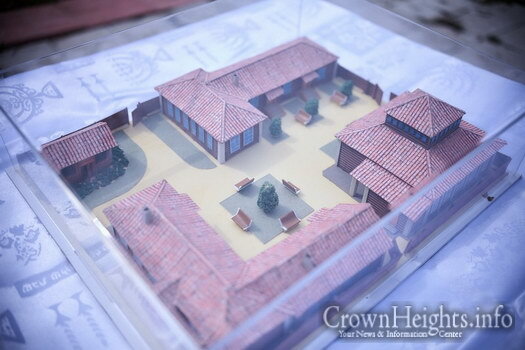 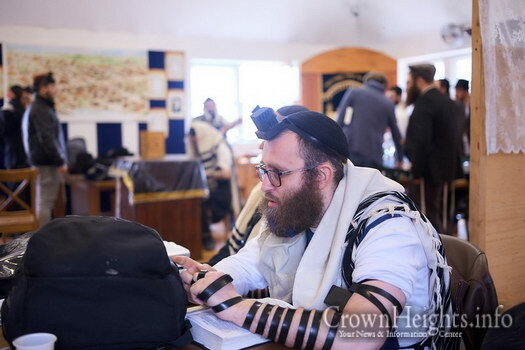 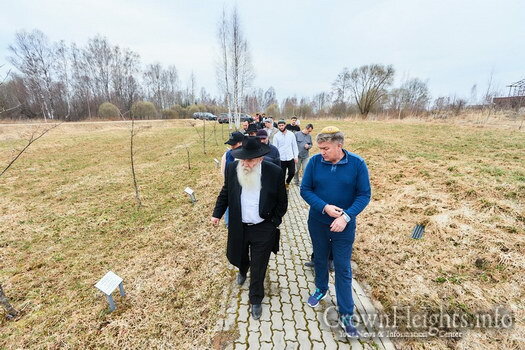 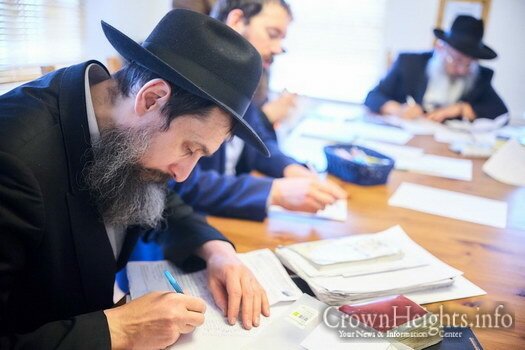 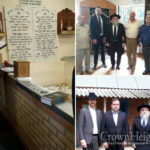 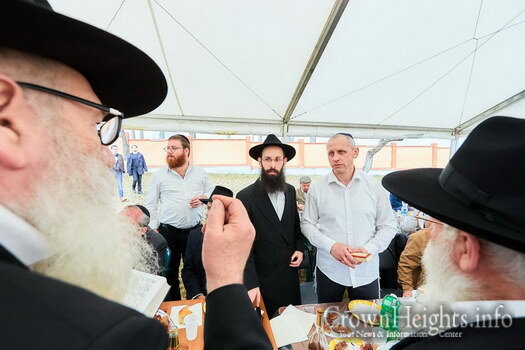 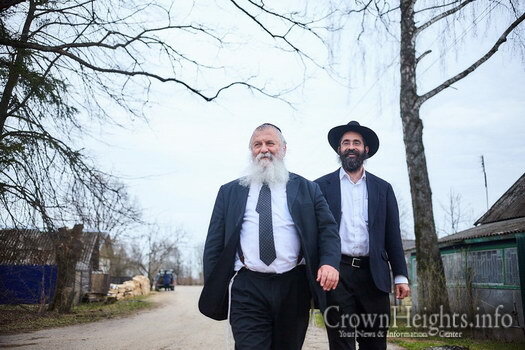 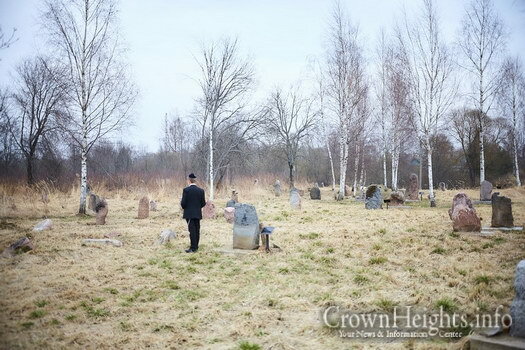 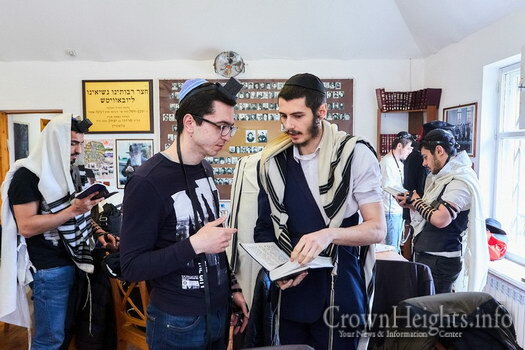 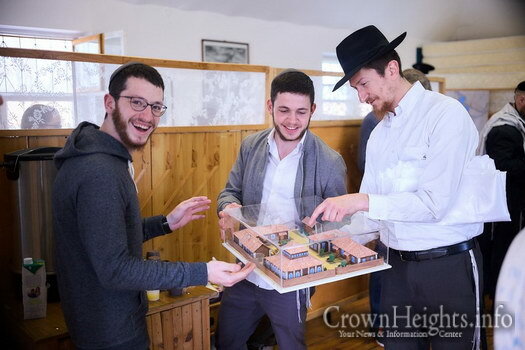 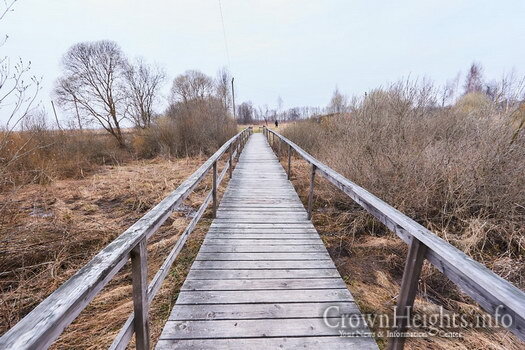 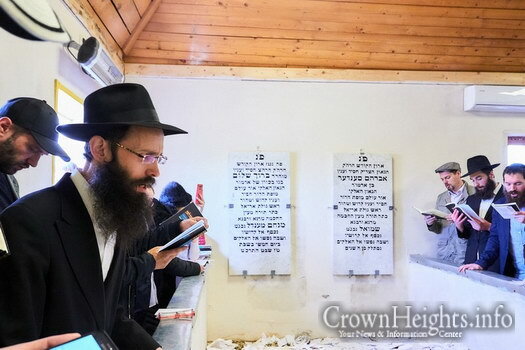 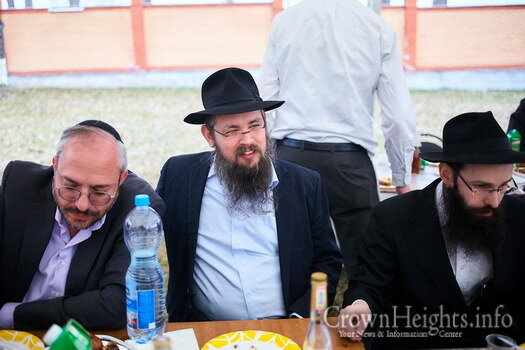 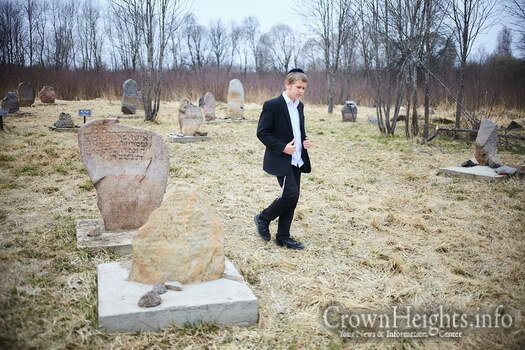 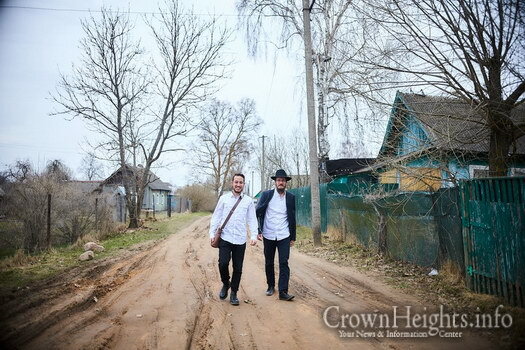 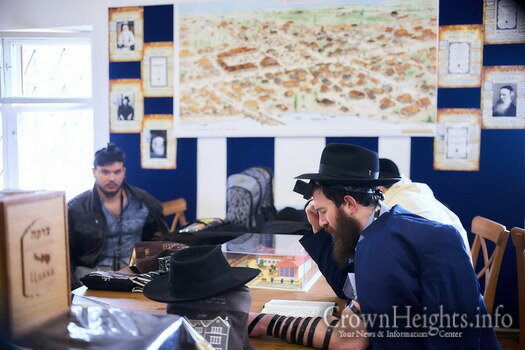 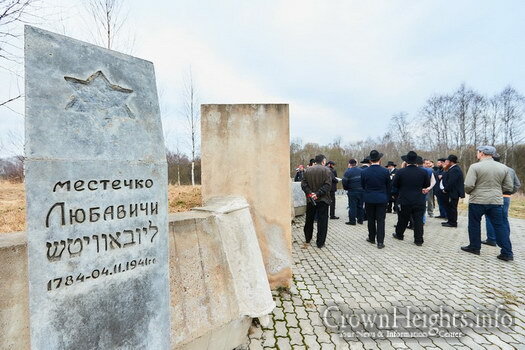 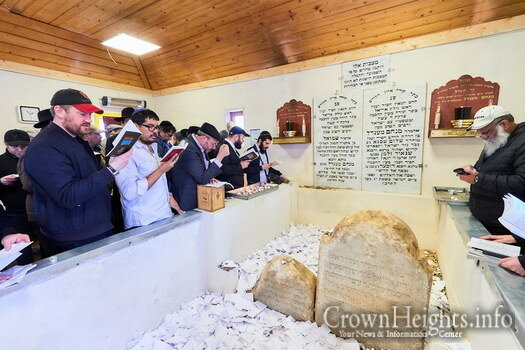 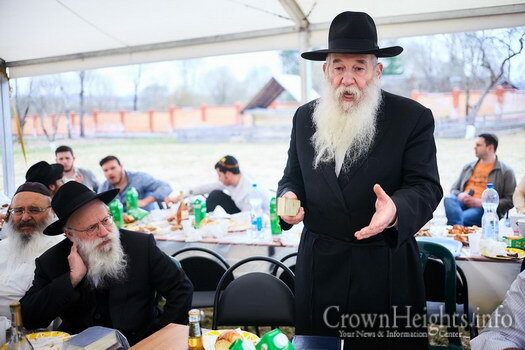 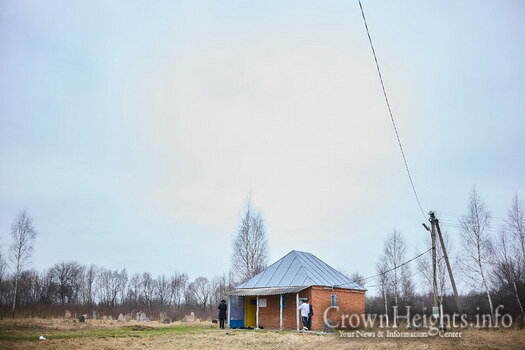 From all over Russia, Eretz Yisroel, Europe, and the U.S.A, Chabad Chassidim as well as friends of Chabad converged this week on the tiny village of Lubavitch in Russia. 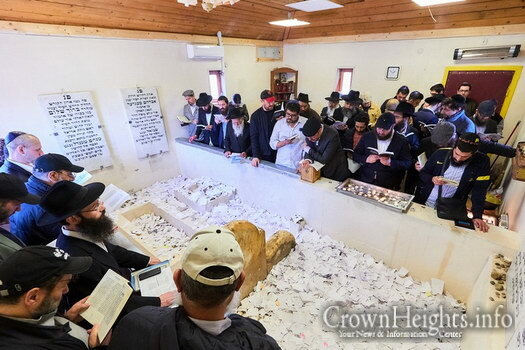 They came to mark the 185th birthday of the Rebbe Maharash which falls on Beis Iyar, to daven at his burial site, as well as the burial site of the Rebbe Tzemach Tzedek. 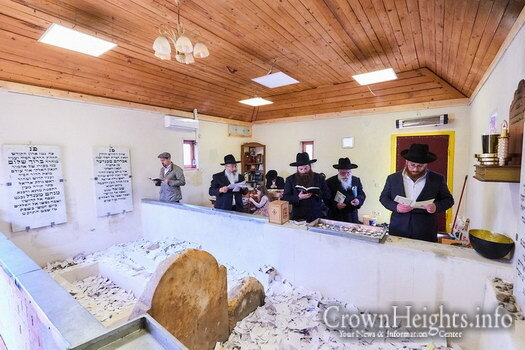 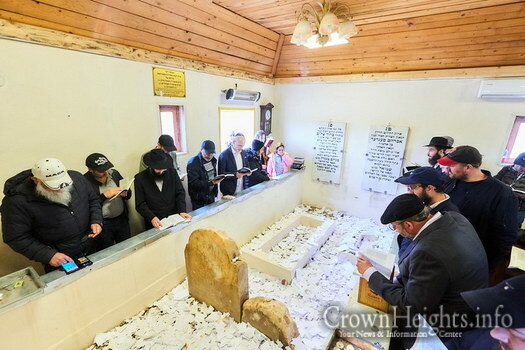 After writing a ‘pa”n’ in the house that the Rebbe purchased years ago near the resting place, there was a moving Tefila for all of Am Yisroel wherever they may be. 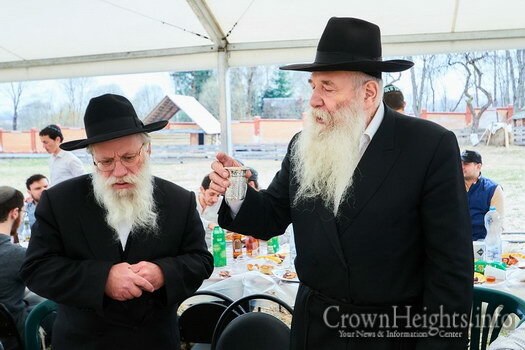 Upon concluding the “Maane Lashon” they sang together the famous nigun of “lechatchila ariber”, and from there on to the courtyard of our Rebbeim. 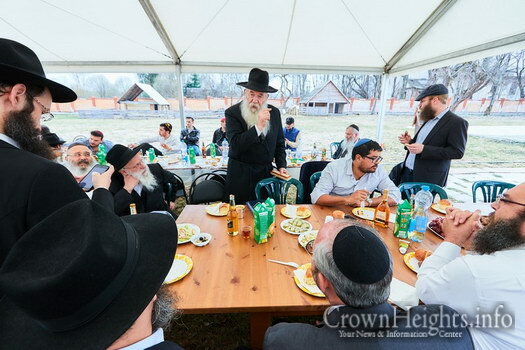 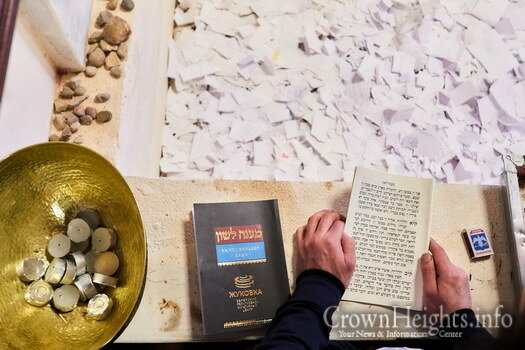 The participants sat down to a Chassidishe farbrengen in the special tent that was put up in on honor of this date, as well as the 100th anniversary of Yeshivas Tomchei Tmimim leaving the village (5678 – 5778). 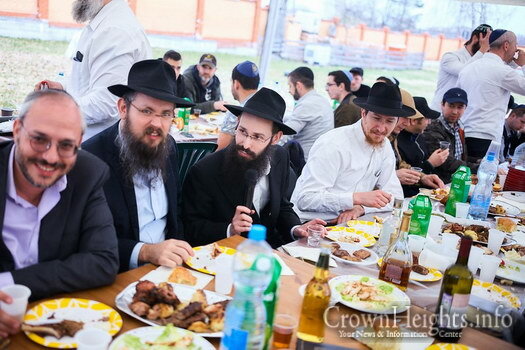 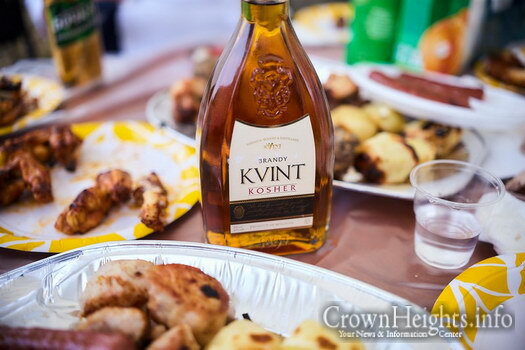 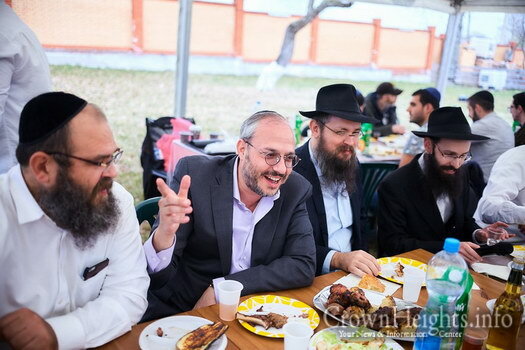 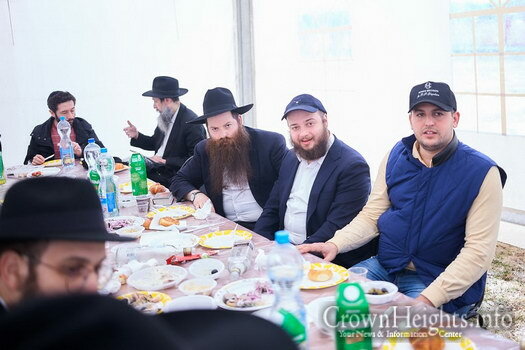 The tables laden with delicacies of fish, meat and plenty “l’chaims” were generously sponsored by Chassidic philanthropist Reb Dovid Fisher and his family, along with the dedicated committee of “Irgun Lubavitch”. 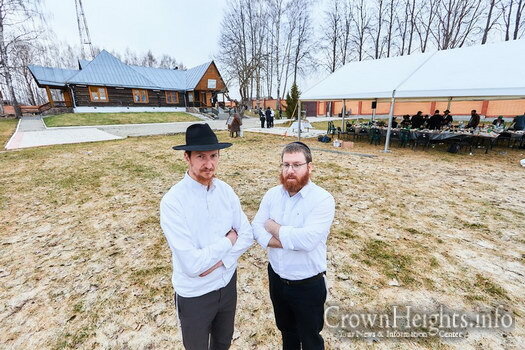 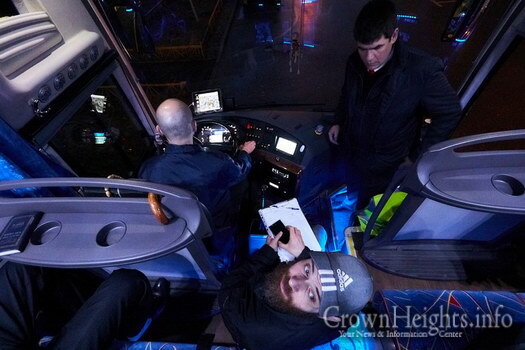 The logistics of hosting such a large group were efficiently taken care of by the Shliach Reb Gavriel Gordon who oversees the holy sites of Lubavitch. 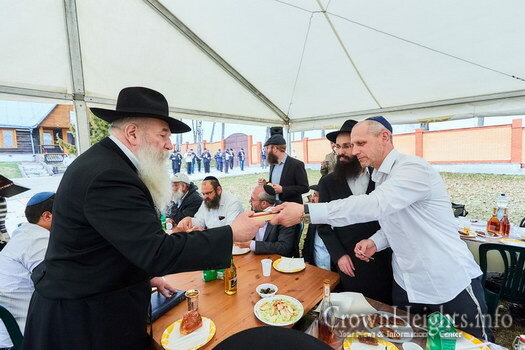 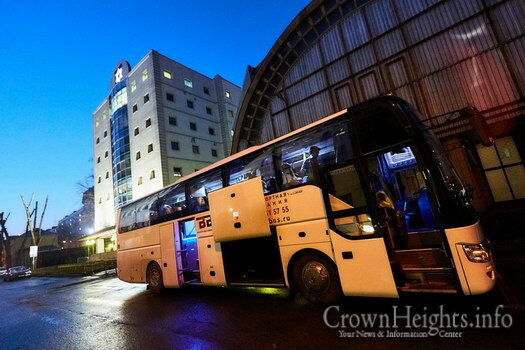 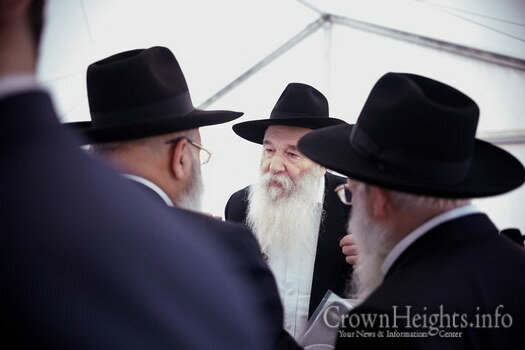 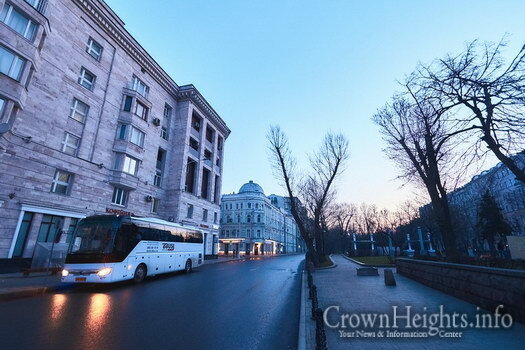 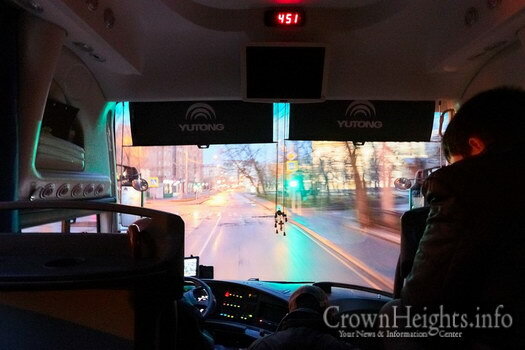 Along with the crowds that arrived from faraway Moscow, were the Guest of Honor who came from Eretz Yisroel- the Mashpia Rabbi Oizer Alperovitch, the “Tzaddik from Leningrad” and Director of Agudas Chassidei Chabad in Russia – Shliach in Moscow Rabbi Yitzchak Kogan, the Shliach and Regional Rabbi of Smolensk Rabbi Levi Yitzchak Mondshine, Rabbi Levi Yitzchak Raskin from Kfar Chabad, and Rabbi Itiel Giladi of “Yeshiva Od Yosef Chai” under the auspices of Rabbi Yitzchak Ginsberg. 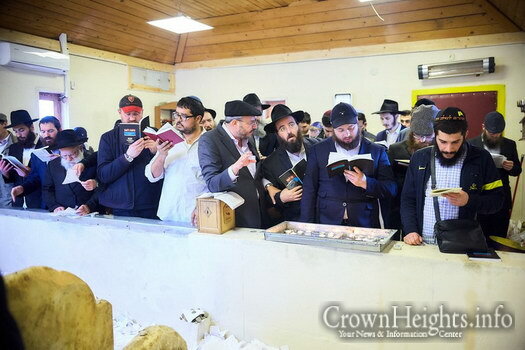 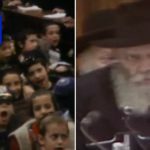 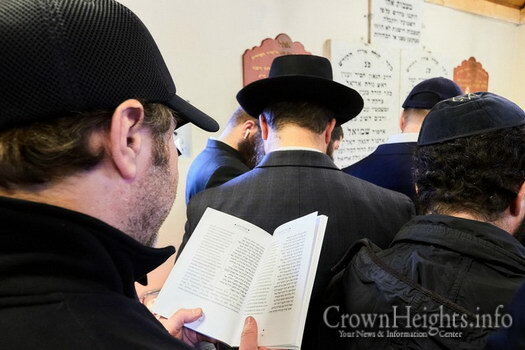 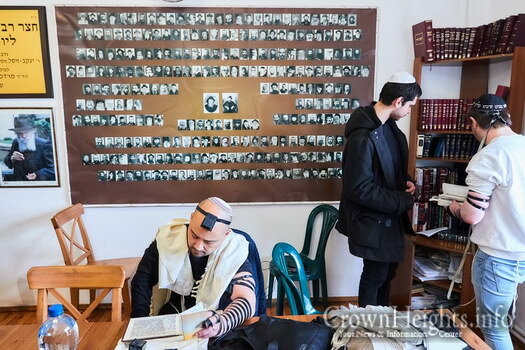 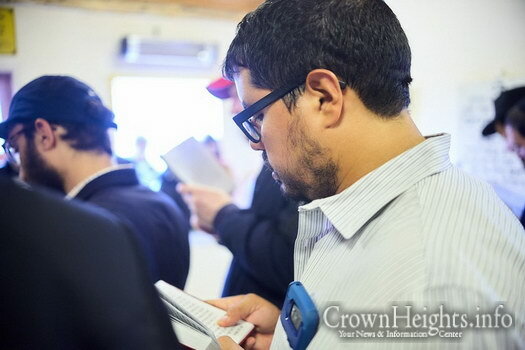 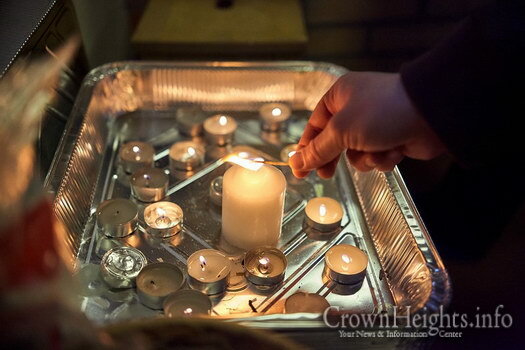 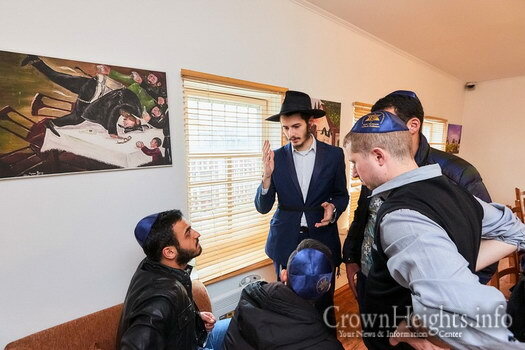 For many hours they kept the crowd enthralled with stories of the Chassidim’s life in Lubavitch, as well as many quotes from the baal hayom huledes The Rebbe Maharash. 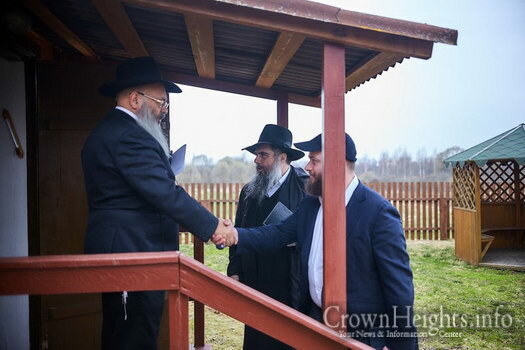 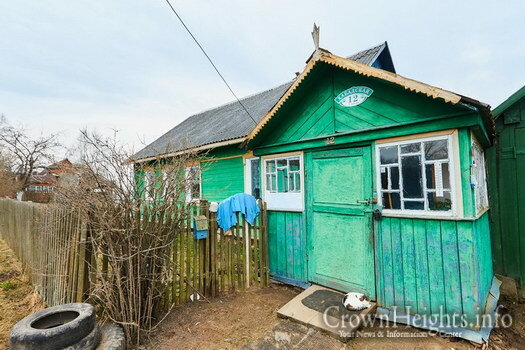 At some point during the farbrengen there was a “Pidyon HaBen” ceremony for two local jews from Smolensk by Rabbi Yitzchak HaKohen Kogan, which turned the farbrengen into a Seudas Mitzva. 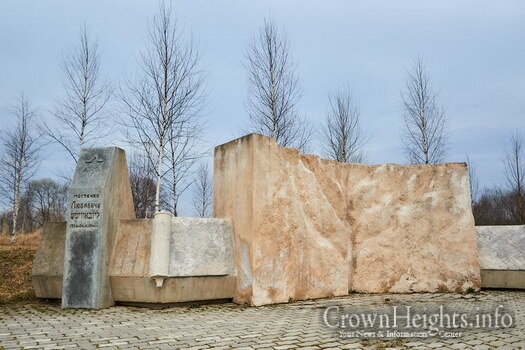 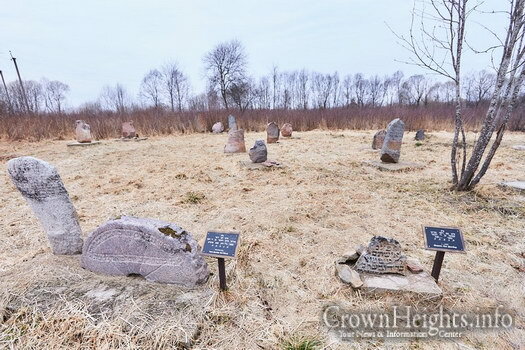 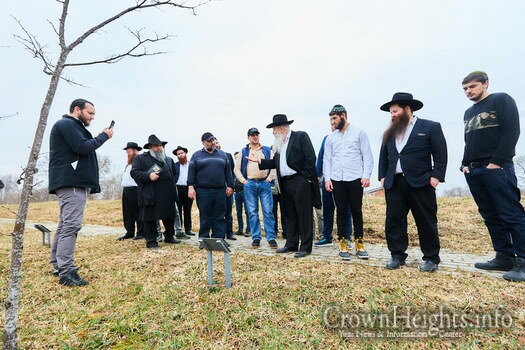 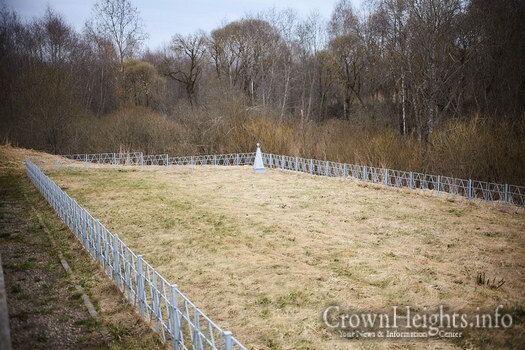 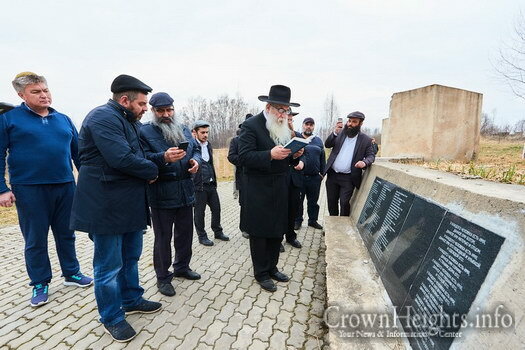 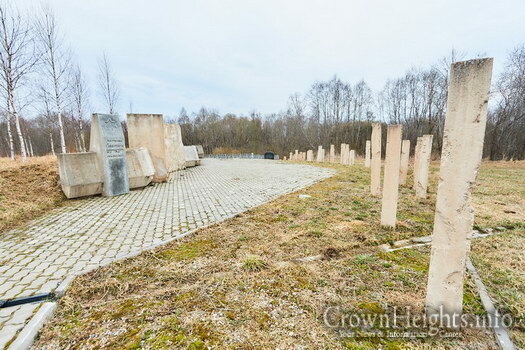 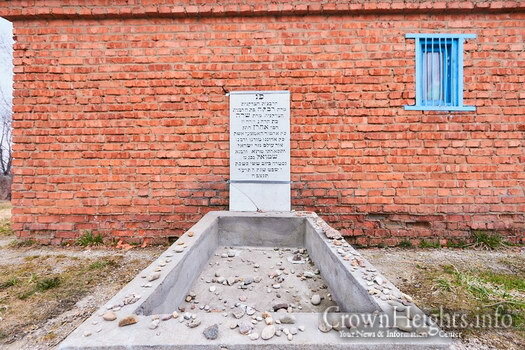 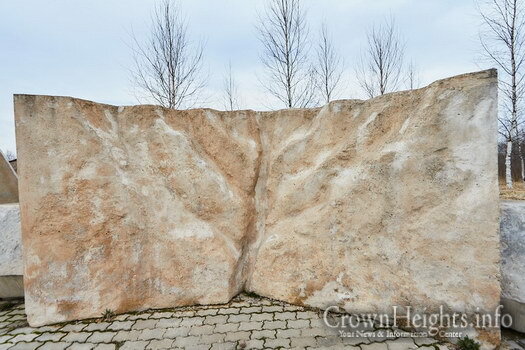 A special tefila was recited at the mass grave where many of Lubavitch’s jews were killed, as well as Keil Malei Rachamim and Kaddish Yasom by Rabbi Kogan.